This weekend my almost-three-year-old son had his first language lesson … online. My son is growing up bilingual in a largely monolingual country. He goes to an American pre-school, talks to the majority of our friends in English, knows the entire English alphabet already and is learning to read… in English. Since my mother tongue is Russian, I decided early on that I would talk to him in Russian only so he becomes fluent in both languages. As he is getting older though I’m realizing the challenge of keeping him bilingual and finding a face-to-face professional teacher who wouldn’t mind driving across the town to work with him for 30 minutes. That prompted me to begin looking online. Being an online teacher myself I realize how insanely hard it is to teach teenagers online, not to mention kids! But I decided to send out my request to several teachers, and received two brave positive responses. We ended up going with one of them. The lesson turned out to be so much more than I expected: my son was engaged, enjoyed meeting a new teacher and talking to him in Russian, showed all of his toys to him and even learned some letters of the Russian alphabet. Obviously, there were a number of limitations to such an online teaching experience, especially for a two-year-old, but in my case there was no other choice. The teacher did an excellent job, and he is definitely hired. I began teaching online in 2008 when a good friend from my hometown (about 70 km away) asked me to help her with pronunciation and fluency training. It was a similar situation where we had no other choice. I couldn’t be driving to my hometown every week, nor could she come all the way to see me for lessons. So she installed skype, and we thought we’d give it a try. It worked. She began learning online and really enjoying the additional bonuses of such format: she was saving a lot of time and could have her lessons directly at her work place at the end of her working day. After a few years, I was laid off, and so again I had no other choice but to begin growing my online clientele. At the time I only knew one-to-one teaching via skype, but I would soon learn many more formats and become an expert in the business aspect of online teaching – something I’d never imagined myself doing. Teaching may take different formats, but the essence of it still remains the same. According to the dictionary (dictionary.com), teaching means imparting knowledge or skill, or causing somebody to develop a set of skills or knowledge. No matter where, what, who and how we teach, our goal is never the method for the sake of the method, it’s always imparting the knowledge and developing skills using whatever method appropriate for a specific age group and available at a specific time. As experienced teachers, we know that there is a difference between teaching a child, a teenager, a College student, an adult or a senior. There are challenges and there are advantages. And certainly there is our own preference factor. But no matter how, our intention is always on helping the student achieve his/her results. This certainly does happen, but it doesn’t make online teaching less reliable that way. Think of the times when you taught regular classes and you weren’t feeling too well, so you had to call in sick for fear of contaminating disease. When you teach online minor colds or temporary sickness/disability will not always keep you away from the classroom. Interestingly, colds happen more often than the Internet/power outages. What if Skype doesn’t work? In my 5 years of online teaching I only remember 3 epic skype outages. The first two made me panic. The last one was a breeze because by then I had a back-up plan (Google Hangouts) and was able to use it quite successfully. What if a Student misses his/her class? There are different ways of getting in touch with your students, and with the rise of portable devices, and phone-based internet services, my students can send me a quick text message if they are stuck in traffic or if there’s an emergency. Also, after a few months of teaching I knew I had to come up with specific terms and conditions so students wouldn’t “get used” to canceling their lessons all the time. Today when a student signs up with me, he/she gets a document with terms and conditions, and he has to abide by them, and that means that no skipping-lesson excuse except for emergencies listed in the contract is considered valid. So the so-called no-shows are very rare. How can I talk to a student whose mother tongue is different from the target language? This one may sound like it’s tricky, but it isn’t for seasoned language teachers. If you know the mother tongue of your students you’ll be able to teach them from the beginner level. If not, you’ll just be there to help them develop their fluency. Do I use ____________ (camera/headphones/microphone/iPad/iPhone, etc.)? You can use all of the above, or very few of the above (just a headset and your computer). It depends on what you’re comfortable with and what your student can work with. How do I teach a lesson? The most common mistake is to think that once you begin your online teaching career there’s a set of many tools that you will need to learn how to use. It is true that over time your knowledge will most likely go beyond the use of Skype and Google, but you don’t need to know it all before you start. My advice to beginning online teachers is to be as simple as you can: call via skype, use the chat window as your board and turn on the camera if you want your student to see the props that you have put together for the class. You can email the worksheets and the homework assignment prior to the lesson and use the relevant tools to make this process a simple one. Most of these fear-based questions have to do with the technicalities, but they have nothing to do with the teaching itself. If you know how to teach, all you need to do is learn a bit about the basic online tools available for online teaching, and begin using them. In What Ways is Online Teaching Superior to Teaching Face-to-Face? Though there are some limitations to the online learning environment, I can think of at least 5 ways in which online language learning, for instance, can be superior to a classroom lesson. Naturally I’m biased, but I think that a lot of teachers are so put off by the fears and the slight learning curve involved that they forget about the generous benefits of online teaching. Greater focus on listening comprehension skills. 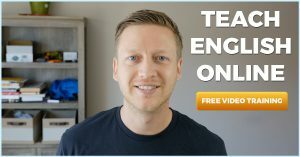 If you’re an online language teacher, working online with video camera off will prompt your students to be more alert and attentive, and thus develop their listening skills much faster than in a traditional classroom environment where listening is aided by other types of communication. Greater focus on learning. In a traditional classroom, there are lots of distractions that may take away your student’s attention and then will take time to bring it back. It’s more difficult to do so online when a student is working on a task, talking or writing. Wider range of materials, easily accessible on all devices. Having taught online for 5 years, I find traditional classroom somewhat limiting when it comes to retrieving information and accessing a wider range of assignments within seconds. There are plenty of resources on the internet, and that makes your materials more versatile and customized. Better quality student support. Being online means you are more available than in the classroom and/or during your office hours. You will obviously have to develop some guidelines so you’re not writing/responding to emails non-stop, but better support means better results. The time saving and comfort factor. There is no commuting involved into online teaching. It’s comfortable, convenient and easy for everybody involved. That increases the happiness factor, which makes the environment more conducive to teaching and learning. 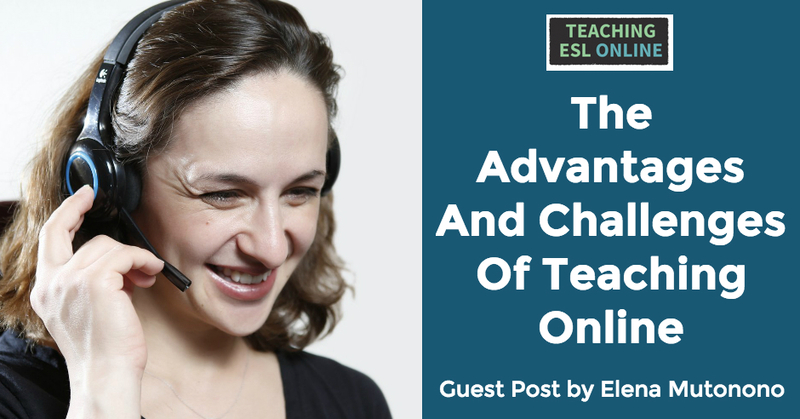 There are several big challenges to online teaching as well, but it doesn’t mean that they cannot be overcome. With the right training and basic marketing skills, you will be able to tackle those as well. Here are just the top two that I mostly write about when I participate in forums. Finding and retaining new students. One of the best answers to these two issues is writing content. Content will bring people to your website, content will answer your readers’ questions, and content will prompt them to book your services rather than anybody else’s. Creating content takes time and practice, but as you keep looking and trying different means of conveying your unique message, you will find your voice that will speak and win the heart of your future customers. I hope that this article has inspired you to test out the waters of online teaching and enjoy the pleasure that comes when you move your expertise beyond the walls of a traditional classroom and impact the lives of people all over the world. Elena Mutonono transforms traditional teachers into online teacherpreneurs. Visit www.elenamutonono.com for details and deals.